Figure2 The following diagram is the hierarchy structure of the two-type scheduling. As seen from the diagram above, the two main types of Short-Term Scheduling are subdivided into four different techniques. And the four techniques adopted here are the most general methods. 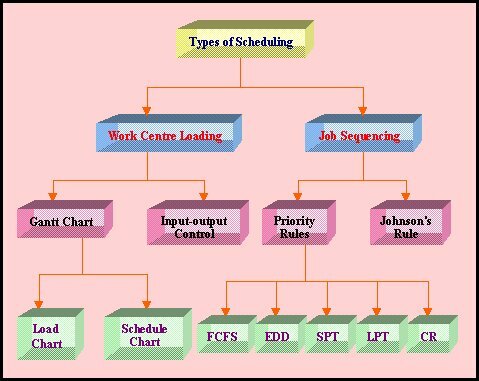 The following section is the introduction of the two techniques-Gantt Chart and Input-Output Control- adopted in work centres loading.